Remove bluing and burn marks from pipes the easy way! The Flitz Motorcycle Detailing Kit will make your motorcycle glow! 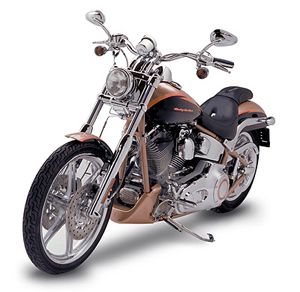 The Flitz Buff Ball and Flitz Polish work with any 3/8 inch drill or air tool to polish intricate motorcycle surfaces. Remove bluing, burn marks, oxidation, and light scratches from metal and restore plastic lights and windscreens. The Flitz Motorcycle Detailing Kit makes it easy to get a fantastic shine on motorcycle metals. The Flitz Buff Ball is made of tough viscose fiber that doesn’t shed lint or tear like foam. The viscose material is very strong but gentle on all metals and hard plastics. The ball has a unique self-cooling design to prevent overheating. The shape of the Buff Ball allows it to conform to small places like engine heads and spokes. The ball features a patented 8 inch no-scratch shaft to give you extra reach. The Flitz Buff Ball fits any 3/8 inch drill or air tool. Work at a speed up to 2000 rpm. The Flitz Buff Ball is washable and reusable. Protect a variety of surfaces with real Brazilian carnauba wax and beeswax! Use Flitz Wäxx on clear coat, gelcoat, lacquer, fiberglass, auto paint, marine finishes, ceramic & powder coatings, polyurethane, Plexiglas®, Eisenglass, acrylics, plastics, stainless steel, Corian, granite, marble, and chrome. Flitz Wäxx protects surfaces up to 3 months! We also carry a 16 oz. Flitz Wäxx Speed Wax Spray. Use the Flitz Motorcycle Detailing Kit on all metal motorcycle surfaces to remove oxidation, road film, burn marks, and bluing. You’ll be amazed at how quickly Flitz Polish and the Buff Ball remove stubborn marks from pipes and forks. The viscose ball provides the right amount of agitation to safely and effectively polish metal to a crisp, clean shine. Since Flitz Polish is nonabrasive, you never have to worry about scratching highly polished metals. The Flitz Motorcycle Detailing Kit works great on plastic head and tail lights, and windscreens, too. Remove light scratches and oxidation to clean and clarify hard plastics. Improve your visibility and your safety. The Flitz Motorcycle Detailing Kit has been featured on ESPN2, Spike TV, and the Speed Channel. Motorcycle owners will love how easily the Flitz Motorcycle Detailing Kit works to remove bluing, burn marks, road film and light scratches. Restore your motorcycle’s metal and hard plastic surfaces with the Flitz Motorcycle Detailing Kit. So glad to have this, since I saw the video, all my friends know about Flitz. I was so tired of messing up my nails, trying to get into spots w/o removing saddlebags, etc. I can't make my Harley look like it does w/o Flitz Motorcycle Kit. Check it out, the price is great too.